The SDG Global Festival of Action is a ground-breaking event powered by the UN SDG Action Campaign with the support of the German Federal Ministry for Economic Cooperation and Development (BMZ), the German Federal Foreign Office and partners. 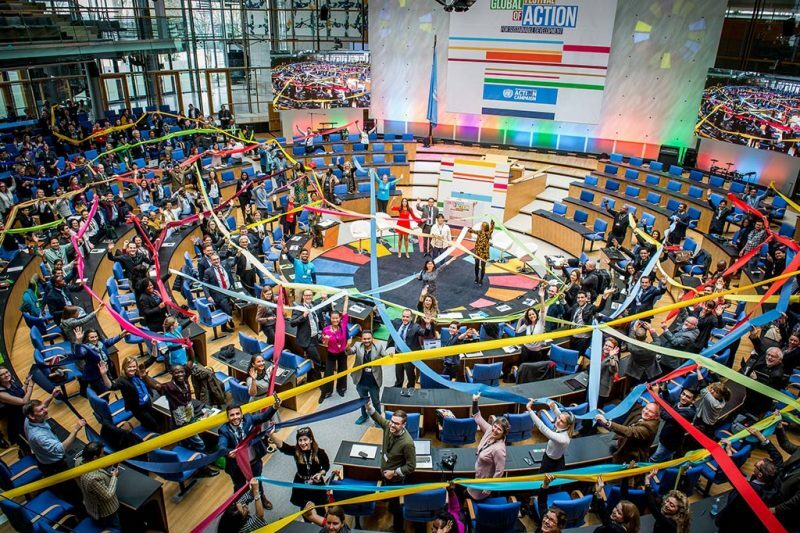 The Festival is crowdsourced, designed BY the SDG Action community FOR the SDG Action Community. The 2019 edition of the Festival comes at a time where critical SDG milestones are on the horizon at the international level. In September 2019, world leaders will be reviewing progress on the goals at the High Level Political Forum and a number of key indicators will need to be met by 2020. As the global community approaches the ’10 years to go milestone’, now is the time for actors at every level to renew their commitment towards achieving the goals together. The overall aim of the SDG Global Festival of Action is to mobilize, inspire and connect stakeholders to further SDG action. These themes which will underpin the substantive content throughout the event, align with the categories of the UN SDG Action Awards. The Awards will run in tandem with the Festival and aim to celebrate and recognize change-makers from across the globe. Award winners will be announced at the SDG Action Awards Ceremony on the first evening of the Festival, and will have the opportunity to lead sessions as part of the Festival program. The 2019 Festival will feature a range of formats, each positioned to further understanding and awareness, build practical skills and networks and become inspired by SDG Leaders. The Festival will feature approximately 30 thematic crowdsourced sessions, each co-curated and designed by SDG partners across the world, offering a rich tapestry of interactive workshops, world cafes, hackathons, data dives, case study snapshots, policy simulations and ‘how to’ sessions, all designed to increase awareness, understanding and build capacity around SDG Action. Each session is designed for targeted groups, with tangible outcomes aligned with the Festival themes. These sessions take place in different rooms with capacity ranging from 50 – 120 participants and each will be 45-90 minutes in length. The SDG Studio: A dynamic live stage positioned in the lobby area where ted-style talks, cross-generational dialogues, pitches and bar camps are featured. The live stage is broadcast on UN Web TV and will provide the platform for participants, inspiring speakers and key stakeholders to record and disseminate their SDG actions, commitment and stories. Meet-up spaces: Meeting places positioned throughout the venue for SDG stakeholders from across the globe to connect, network, share ideas, plans and build partnerships. These designated spaces provide participants with the opportunity to schedule meetings new and existing partners to connect and share ad hoc presentations. SDG Action Zone: Positioned in front of the plenary hall, this area is the SDG Action Campaign space where participants can learn and test the various SDG tools and initiatives that are led by the Campaign. From sharing participants’ own perceptions through the MYWorld survey, experiencing virtual reality stories through MYWorld 360, to pledging commitment to particular goals with the augmented reality butterfly effect SDG wings, the Campaign team will be at hand to meet and explore further engagement ideas and opportunities while sharing the latest toolkits and initiatives that can be adopted to further SDG action. Film screenings: A dedicated space where participants can enjoy SDG Films featured in different media formats such as 2D, 3D, virtual reality and augmented reality. These films will allow participants to travel to distant corners of the world and find out how the SDGs are making a difference in people’s lives. Innovation zone: This space will offer an interactive and immersive experience for Festival goers keen to learn more about the latest trends and pioneering approaches to SDG communications, visualizations and transformative technologies. See highlights from 2018 & 2017.